We provide complete auto repair and service for your Audi, Porsche and BMW in Freeport, NY. From the smallest routine service to a ground up restoration we will satisfy your every automotive need. We have flat bed service available if needed and a rental car service for your convenience. Bill Rudtner is THE most knowledgeable, honest and reliable Porsche technicians in the tri-state area, bar none! His spotless shop, Rudtner's South Shore Performance, and professional techs would make even the most discerning Porscheophile comfortable leaving their baby or babies in his very competent hands. Speed safely! Bill and his guys were very helpful in diagnosing a check oil light issue in my Porsche. Very nice group of folks at Rudtner's South Shore Performance. Honest people. I have contacted Bill Rudner on several occasions about Porsches I have been looking at regarding different issues of what to look at regarding my inspections. Had not been for him I would have bought junk. I will definitely bring my 911 to him at Rudtner's South Shore Performance to have an 800 HP engine built when I finally buy my 911. My father and I have been a customer at Bill's shop for a few years now, and I've always had nothing but good things to say about the shop. Bill and his guys have always gone above my expectations, I would recommend his shop, Rudtner's South Shore Performance, to anyone looking for someone to work on their Porsche. They've always done the right thing by me and the service is always excellent. I've been a customer with Bill's shop since 2002. I've always been treated well and 100% pleased with their service . Bill has always done a stellar job on my two Porsches. 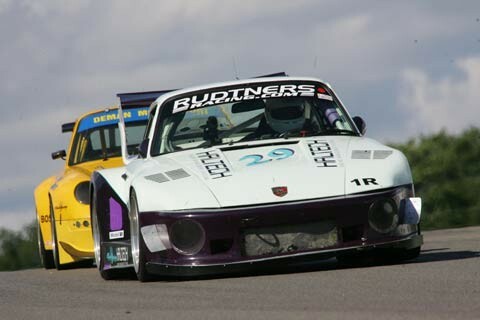 My track car has been built and maintained by Rudtner's South Shore Performance. I can't say enough about the personalized service that I have received. I've recommended other Porsche owners to Rudtner's, all who have been satisfied. I've been a satisfied customer of Bill Rudtner since I bought my 996 GT3 in early 2006. Since being a customer, he has done a complete suspension upgrade on my car, installed a roll cage, as well as all routine maintenance. Anyone who has been in my car on the track already knows how well my car has been set up and I've always been 100% satisfied with the work at Rudtner's South Shore Performance.